Olympic hero Michael Phelps graces the cover of Sports Illustrated on newsstands Thursday. On it, he mimics and one-ups the iconic image of Mark Spitz wearing 7 gold medals that was on posters sold for $2 back in 1972. 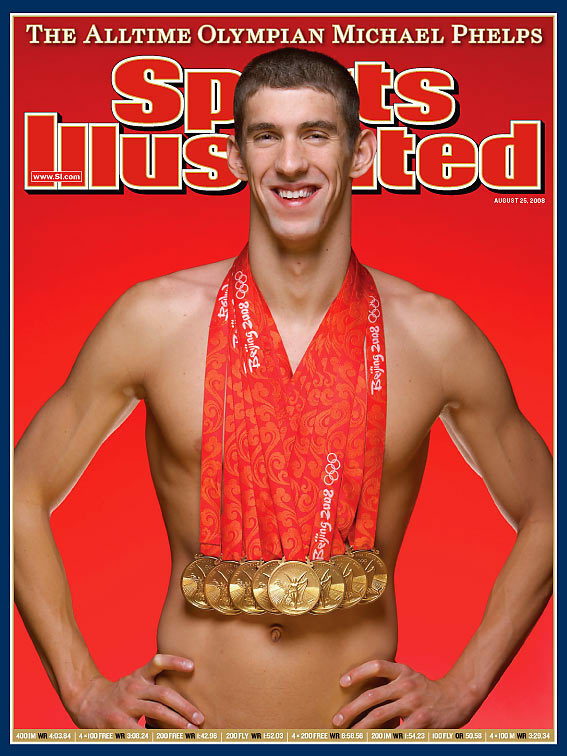 "This one being the first [photo] of him with all eight medals, we hope that our cover will stick in everyone's mind," SI's managing editor Terry McDonell said. Phelps also tops Spitz on the number of SI covers on which he's featured: 5-3. Also today, Phelps addressed reports he is dating fellow swimmer Amanda Beard.